Thanks for stopping by! I hope you enjoy this FREEBIE. Please take just one moment to leave me some feedback. I really appreciate your comments! Come back and get my other freebies. I hope you can use some or ALL of them in your classroom. 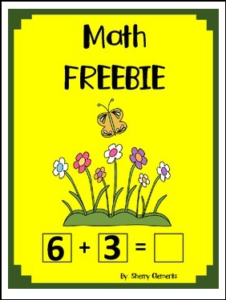 This is a one page FREEBIE requiring students to complete the equation (sums to 10). Find the missing addend or the sum.